I am offering up for raffle this beautiful “Dawn”l Ladder Necklace. 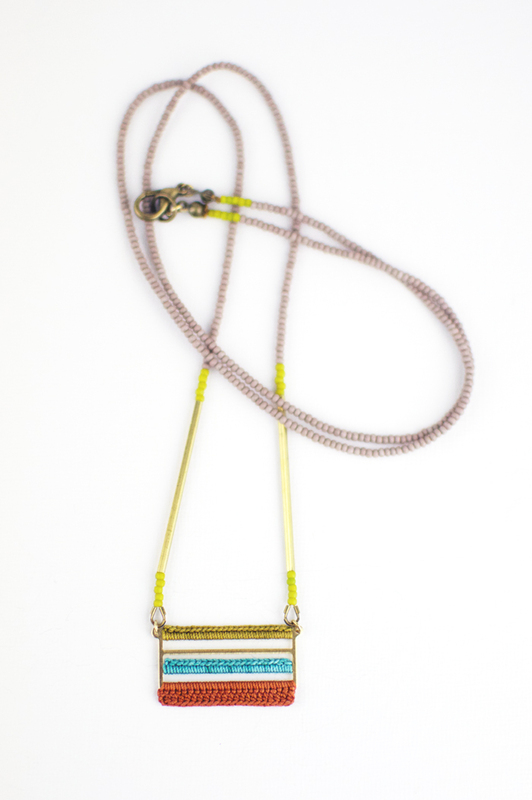 It features a geometric pendant with a woven stripe design and a 30” beaded chain. It retails for $50.